Have fun with plants! Vertical gardening is now within reach of every gardener from brown thumbs to green and from beginners to professionals. Simply attach hook to wall, fence or chain link, and hang planter up. Totally modular system works in a dense 10 in. x 12 in. wide grid, or a 12 in. x 12 in. grid for lower cost per square feet and greater coverage. The Living Wall Planter is made from 100% HDPE2 recycled milk jugs, known to be one of the safest plastics for food contact and containing no traceable amounts of Phthalates or BPA. The Living Wall Planter is self watering. Simply fill Living Wall Planter integrated watering well with approximately one liter of water keeps plants watered for up to two weeks. The basin functions as a water-conserving reservoir that allows roots to drink from the bottom while breathing through the sides. Plants have stronger, healthier roots . The Living Wall Planter is vented front and back, allowing roots to breathe, increasing evaporation,and minimizing overwatering. The Living Wall Planter works beautifully indoors and out. Because the sides breathe, the bottom does not need drainage, which means floors and walls stay dry indoors. All Kind of Plants thrive in the Living Wall Planter, especially plants that typically grow in containers like native perennials, flowering annuals, succulents, tropical house plants, organic herbs and other edibles. The Living Wall Planter also stands up on solid surfaces and looks and works beautifully on a tabletop and countertop. So, bring kitchen herbs out to the picnic or garden flowers indoors for the party. The Living Wall Planter stands up, so vertical gardeners can now efficiently plant on a horizontal surface, like a potting bench or the ground. No more messy, awkward planting on ladders. Professionals can plant off-site and then bring their pre-planted Living Wall Planter to hang, cutting their on-site installation time in half. If you have any questions about this product by Wallygro, contact us by completing and submitting the form below. If you are looking for a specif part number, please include it with your message. 3 Tier Stackable Herb Garden Planter Set - Vertical Container Pots For Herbs, Strawberries, Flowers & More. 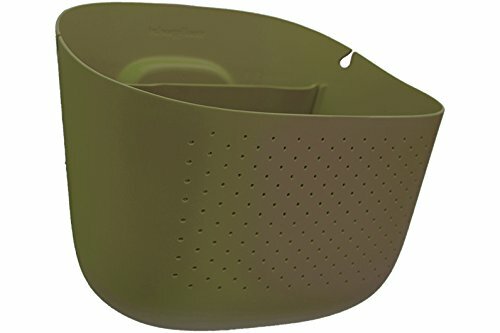 Gardman R217 Georgian Wall Trough with Coco Liner, 24"